David C. Jiles began his appointment as the Palmer Endowed Department Chair in Electrical and Computer Engineering on October 1, 2010. Previously, Jiles was the director of the Wolfson Centre for Magnetics and a professor of magnetics at Cardiff University in the United Kingdom. He is Anson Marston Distinguished Professor of Engineering and holds a joint appointment with the ECpE and materials science and engineering departments. He also is a collaborating professor and with the U.S. Department of Energy’s Ames Laboratory. 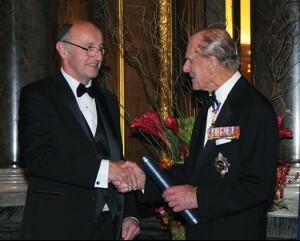 Jiles was elected to the Royal Academy of Engineering, the United Kingdom’s national academy for engineering, in 2014. He is a Fellow of the Institute of Electrical and Electronics Engineers (IEEE), the American Physical Society (APS), the Magnetics Society, the Institution of Electrical Engineers, the Institute of Physics, the Institute of Materials, and the Institute of Mathematics and its Applications, among others. Jiles served as editor-in-chief of IEEE Transactions on Magnetics from 2005-11 and has been selected for inclusion in Marquis Who’s Who in America (2001-16), Who’s Who in the World (2001-16), and Who’s Who in Science and Engineering (1998-2016). His research interests include nonlinear and hysteretic behavior of magnetic materials; magnetoelasticity, magnetostriction, and magnetomechanical effects; development of novel magnetic materials; and applications of magnetic measurements to nondestructive evaluation. He has authored more than 700 scientific papers, has published three books, and holds 21 patents. Jiles was educated in the United Kingdom and earned a DSc from the University of Birmingham, PhD from the University of Hull, MSc from the University of Birmingham, and BSc from the University of Exeter. Jiles is the first to hold the Palmer Endowed Department Chair. The endowed chair was created in March 2010 through additional earnings from an endowed faculty position established in 1986 by Iowa State alumni Barbara R. and James R. Palmer (BSEE ’44).